So I met the very amazing 61-year-old Barbara Wynns, former Weeki Wachee Springs mermaid and unofficial head of the “former” mermaids performing at Weeki now, back in January as well. Barbara is the head of the Sirens of the Deep mermaid camp. 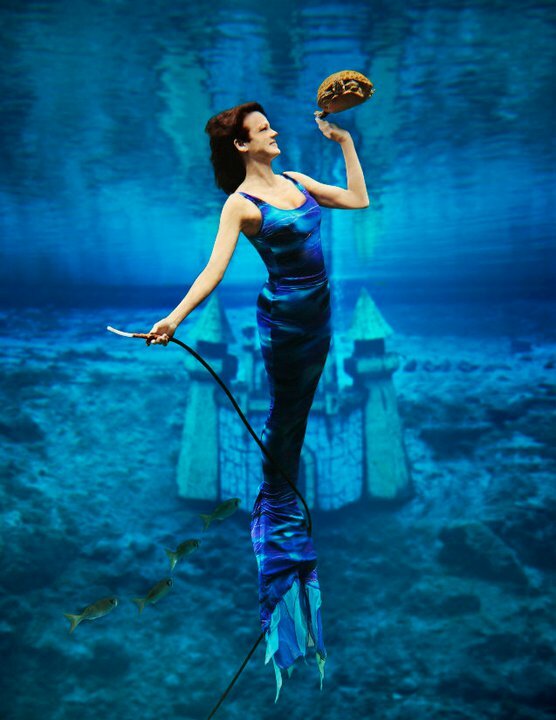 She’s a world-class diver who dives all over the world, and she lives in a beautiful Weeki Wachee riverhouse that’s filled with Weeki Wachee artifacts (much of which she’s saving to put in a future museum at the park) and other mermaid wonders. And when she took me on a tour of the house and I exclaimed over a giant Mr. Peabody and the Mermaid poster she had hanging on one guest bedroom wall, she promptly took the poster down, rolled it up, and insisted I take it home with me. In person, Barbara is just like that. She’s completely radiant, luminous, sweet sweet sweet, and full of energy. She really puts your average somewhat lazy authoress to shame. Here are some photos of Barbara from back in the day. And here is one of her now, performing. 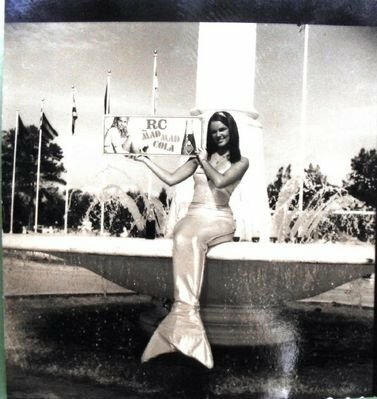 When and how did you become a Weeki Wachee mermaid? I am a Floridian, and always swam in the springs of Central Florida. I knew when I was 7 years old I was going to be a mermaid. Yeah right, you say! Me too, but when I first saw the show at Weeki Wachee UNDER WATER FOLLIES in 1963, when I was 13, my fate was sealed. The mermaids were walking on tight ropes, riding surreys, eating and drinking, and performing great ballet suspended in the this beautiful clear spring. I was like, oh my gosh you can get paid to do that? I made up my mind then that I wasn’t going to college, wasn’t going to get married, I was going to be a Weeki Wachee mermaid. I was hired on Thanksgiving Day in 1966, my senior year of high school, and trained on the weekends after the 1st of the year in 1967. I moved to Weeki the day after I graduated from high school, and swam from ’67 to ’69, ’72 to ’75. And I’ve been performing since 1997 as a former mermaid. It has been my identity all of my life. Once a mermaid always a mermaid! What do you remember about wanting to be a mermaid at age 7? Had you heard folk tales, or seen movies, or heard about Weeki Wachee, etc? We had an orange set of children’s books with the little mermaid in there. So I am sure that is where it came from, but my epiphany came when I was lying in/under the shade of an old boat in our neighbors’ yard. It was a really hot summer day. I was daydreaming, and I saw clearly I was going to be a mermaid, and not a cartoon character one, a real one. I just saw it clearly. 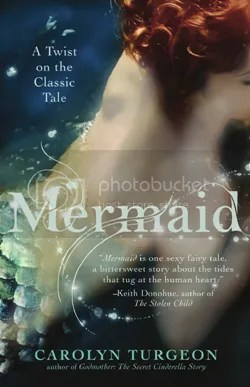 How would you describe the appeal of mermaids to ordinary humans? Not always sure of appeal, because not all myths of mermaids are of beautiful women. In some countries they are seals, in some stories they are evil sirens. What I do know it there are a lot of land locked merspririts out there. And when they do experience water, or connections to like souls, it’s like remembering your best friend from long ago. Why did you return to Weeki Wachee in 1997 after such a long time away? Was it a challenge, coming back? No challenge, and absolute gift, a blessing. I had been saying every day since I left Weeki in 1975, God if you would just let me in the springs just one more time. I actually lived in Virginia, but am blessed with a river home on the Weeki Wachee river. I came in on the eve before the girls were going in to try out to be in the reunion show. I was going through the mail that comes to this address. 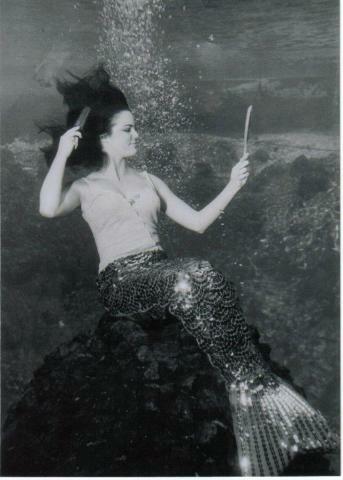 The letter read do you want to get in the springs and perform for the 50th mermaid reunion. I was so nervous tapping in the phone number on the phone, afraid I would miss a number to respond. The other part of the story is a little long. I had a hurt rib, so even though I went to the audition the next day, I couldn’t get in, because I could hardly breathe. I was so close, yet so far. Had to go back to my home in Virginia for about three weeks. One of the girls, the one in charger, was an angel and save me a five-second part in the show. There were 26 girls that got to put on the show for the reunion. We were such a hit doing it at our age, they kept having us back. We are now performing for 14 years, and we are down to ten, know we are blessed performing Weeki Wachee mermaid alumni. I understand you have nurtured other landlocked merspirits. How do you do this? What do you teach them? Before the state bought the park, I was again blessed by being a big part of the park. I had a key, I supported those in charge. Since I am a Master Diver, Instructor I was able to put some people on the air hose. I got to share the springs with some Alumni that would pass through for the day. I just know what it means to know you are a merperson, whether you get to get in the water or not. There is only one Weeki Wachee, so whenever I can, whether they get in the springs or not, I honor the knowledge of what others feel about mermaids, whether to enjoy them , or feel like they are one. I take it very seriously. I just honor all that I meet, and share as much as I can. 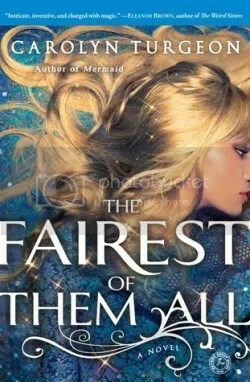 Can you tell me about the Sirens of the Deep mermaid camp? Since we have been back at Weeki as older women, more than once I have heard women say they would love to be a mermaid, even for just one day. I personally have always thought an adult camp, like the ones we’d always had for the ages of 7-15, would go over big…..now that we are a state park, there is what we call the Friends of Weeki Wachee. We are non profit. Since my pod of mermaids are volunteer we are now a part of the CSO, which is the short for FRIENDS GROUP. Any kind of event we are in, the money can stay in the park, instead of going to a big state account. The mermaid camp is a way of making money that stays in the park. We do it for two days. We take your picture dry in a tail, then the rest of the camp is you in a tail, or not, but in the springs learning ballet etc. On Sunday you get to be in front of the windows in your tail or not for your family. We give out certificates and of course there are lots of pictures. It was a success last year. We have made some lasting mersisters. Were you at Weeki Wachee when Paris Hilton was there, or Andrew Zimmern, or any other celebrities who wanted to become temporary mermaids? Can you tell me about those experiences? I actually safetied for Paris. She and Nicole Richie did a great job. They held their own. Did what was asked. I’ve been a part of a lot of celebrities there. It’s great that these folks recognize Weeki Wachee, share it with the world and get to experience it. Vicki met and swam for Elvis. What has been your favorite thing about being a Weeki Wachee mermaid? My whole being loves being a Weeki Wachee mermaid. As far as the physical experience, there aren’t the words. We are suspended in midwater, with only a tube for air. It is 74 degrees, crystal clear, blue water. We are in the heart of mother earth, our life force being water and air. I get to swim and hug turtles and manatees. I don’t know how to express it…. it is heaven to me. What a wonderful interview! I love her description of being “in the heart of mother earth”…beautiful. Writing a book (maybe more) set in a fictional Weeki Wachee called Soda Springs. Appreciate you sharing your story. Barbara is truly remarkable woman- a true icon of underwater figure swimming from its golden age. Always has been, always wil be.